Oh, Oh, NanetteB! Don't you think us gals better be putting on our rainslickers and open up umbrellas over our heads???? I think we are about to be awash with waves of attention and poured upon with whatever they may send from (the opposing boards). OK, MikeB? Hey, I know you read this MB, so, my kind advice: come on out from behind your avatar as I have seen your picture and even though we sling it back and forth, it's all in the game, so, you're not such a bad looking guy. Come on' and look us all in the eye, dude! Way to go, NanetteB. I definitely think this MB is on a roll! I can check the stats and we got a few new visitors at the MB, so, again, even though it's quiet, threads like these have gotten peoples attention. As far as Segals cipher solve, I would really like to see it. I don't claim that he didn't come up with something in that missing 18 or "Gibberish" as it's been referred to for decades, as I have seen solves come out of these ciphers: JTs, FLOVs, JWTs and Latitude, etc, plus I put my faith in what Zodiologists came up with in the "Gibberish" (see ABCs thread). So, it's now logical that there's Segals solve, too, in the "Gibberish" just not it eluding to TK. I am certain I have seen more than one way to decode parts of the ciphers that lean towards Jack and even though it's not rythmic and fluid line by line and (esp in the 340) they are often homophonic or with more than one meaning, so, the solves are there. It's almost like for every mind altering substance Jack was on, there was a puzzle in the ciphers, so, IMO, there may be 3 different puzzles imbedded that points in Jacks favor. In other words, I would like to back Segals solve but don't like his push to say Zodiac Killer is Ted K and that we're wrong in believing it's JT. These pics are the 1990 XMAS Card postmarked from Eureka, CA. that contained a photocopy of old USPS Keys and have been discussed here at this thread. The numbers on the old US Postal Service keys are very significant. These keys appear to be pre-Zip Code. They are 79498 and 58851. The first is an old FPOAE or Fleet Post Office Armed forces Europe which is now known as 09498. The 2nd is Princeton, Amwell, and other parts of NJ in this area for what is now known as Zip Code 05881. Jack was in 3 Armed Services from 1945-1955 and worked in supply for the military (at least one? or all 3?) and if I understand correctly, this included obtaining, recieving, sorting, distributing US Mail for members or whatever the military needed via US Mail. I think it's possible that while in the 3 Armed Services Jack was in, he did a stay in the NJ area at some point. I stand by my research on these keys, that the numbers are what they are and areas they were for. 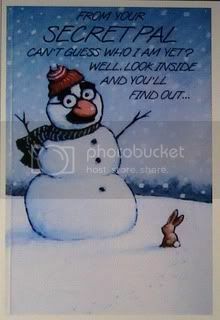 Since indicators are this 1990 XMAS card may be Jack/Zodiac, they now play a vital role in the Patricia Hautz and Scorpion Letters which in-turn helps zero in on Jack as Zodiac Killer. PS do you see the JACK rabbit in the snow? "Well Unazod thinks more of the keys than I do......I remain unimpressed but thought I would post this for those who are interested........who knows maybe someday someone will make something of this. I put this here because funny how last summer it seemed easy to find the numbers on the keys on the internet but now, only 2 readily found sources: Unazod and this MB! Why? Even though I don't agree with Unazods theories on TK as Z, it's good the guy who runs his site didn't erase or edit that page! I smell something very, fishy. Why not mention the numbers on those keys on all the other Zodiac sites? Good thing I kept decent notes on those particular numbers! NanetteB, and all who read this: Am I seeing something correctly? In the scorpion letter quote? "My first one that I sent you was comparitively simple to my second, third and fourth and now temporily final cryptograph system" Zodiac sent 4 ciphers, right? The 1st was in 3 parts and solved by Hardins, then the "my name is", then one in 6/26/76, then the 340? Am I missing one? If not I think the context in the Scorpion Letters show it is Z continuing into the 1990s. That said the word Cryptograph apparently means crytogram with an image. In the Zodiac Killer communications that image was usually a Jack- something. Was Jack a fan of the movie "The Shining"? These four pictures and the post I put at MySpace were a hit last night (lots of stats!). SO, I thought I would put this here at the "An Authentic Zodiac Letter?" thread. "There are some ancient alphabet here which is both a Zodiac and Scorpion Letter trait. The first picture is the Scorpion code. The 2nd, 3rd, and 4th are great examples of ancient Hebrew to Modern English that not only Scorpion and Zodiac letters have in common but also Black Dahlia & Lipstick Killer. Please see Dennis Kaufman's MB for more details. 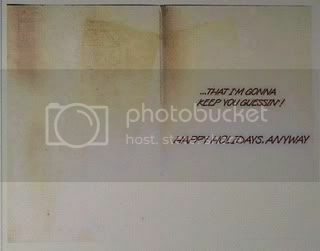 The last picture is part 1 of the 3 Ciphers decoded by someone and said to have arrived after the 8/69 3 part ciphers were published but it looks to be Jack Tarrance's handwriting. It could have been mailed along with the first 3 just not "rushed to editor". It's a good example that shows some ancient and other alphabets that link Scorpion to Zodiac letters. Jack Tarrance mixed Greek and Roman alphabets." "I think that this is amazing! Here we were acknowledging JACK images in cards that accompanied Ciphers at Dennis Kaufman's MB but who'd a thought that they were actually termed CryptoGRAPHs? This is a whole turning point in Zodiac Killer investigations. From 1995-2002 John Walsh said during various interviews that FBI told him these were from the Zodiac Killer. Then for whatever reasons, the theories of who the author of the Scorpion Letters changed. BUT, with the aid of Nanette Barto, it appears that there are quite of few missives that match Zodiac, in-turn Jack Tarrance. Just like I noted in the previous blog, "Scorpion" appears to be broken up. Scorp, then "I" with the scribble under it, then "O N". The scribble could be a reversed J but the letter "I" was for centuries also a "J". So, IMO Scorp or SCORE & Jon. Jack's aka John Tarrance. 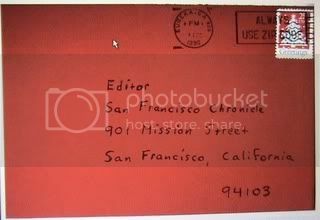 So, with this in mind, I believe these letters are back to being linked to Zodiac Killer/Jack Tarrance and the word Cryptograph now plays a huge role in demystifying the Zodiac Killer mystery. 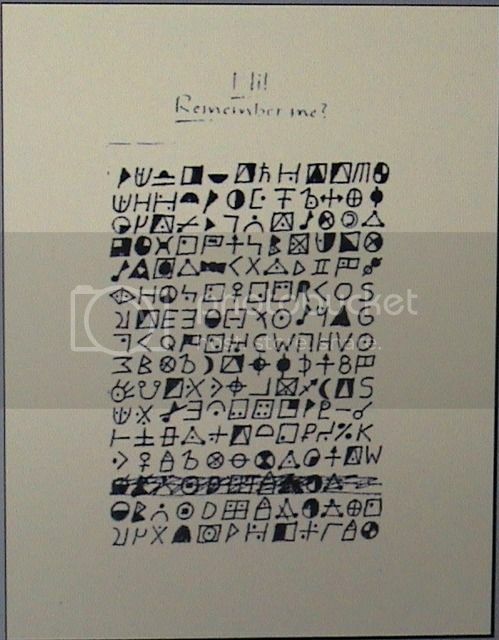 This letter was trying to tell authorities that they were to look for the images accompanying the ciphers. Oh, and Cryptograph can also mean code within the cipher, so, not rythmic solvable and that is why there's apparently initials JT or JWT or his moms name Flova, and the image for Phi plus ancient numbers adding up to Latitude he was at but not a rythmic line by line solve like the first one which was in 3 parts and no images." Catseye....Try looking up info. about the Larsson Papers and/or the Kensington Stone. I found a lot of info. about these things in wikipedia. Anyway a lot of the symbols you have on those pages look like runes used by the Templars among several other groups or, societies of people from many centuries past. Be forwarned, as there are lots of links to follow to try to get some sort of translation to modern english. Good luck and take care. trustno1, nice to see you on the MB. OMG, I was in the midst of copying what I had at MySpace when a thunderstorm hit (Again) and the ISP went down. Then I tried to log in today, and there's lots of problems with my PC connectivity. 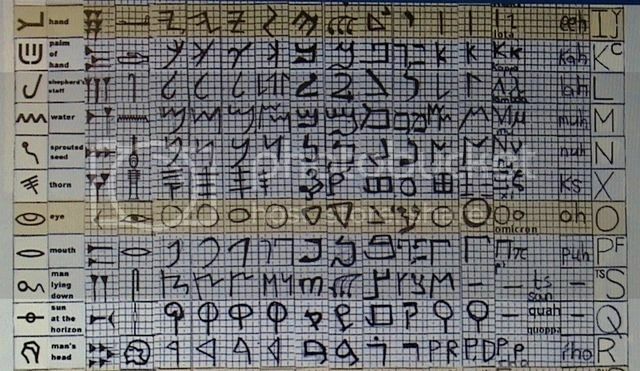 Oh, well, trustno1, I will look at the runes sometime but I got to finish what I was posting yesterday as it's part of images and old alphabets that were used in the Cryptograph System that link Zodiac to Scorpion as well as to Black Dahlia and Lipstick Killer. 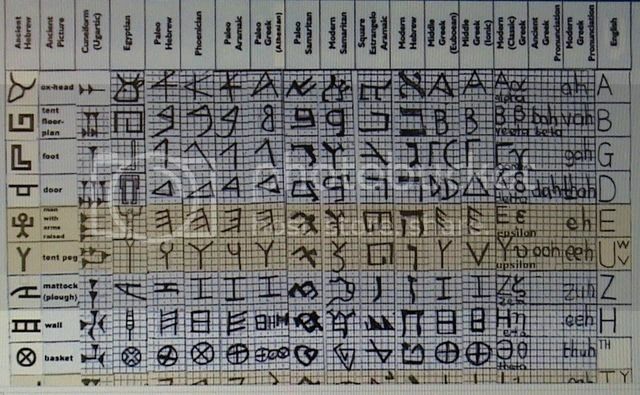 The latter 2 are actually the beginning and they have images with some old alphabets like Mid Greek and Ancient Hebrew in them but just not as complex and they weren't fullblown cryptographs or cryptograms with images. 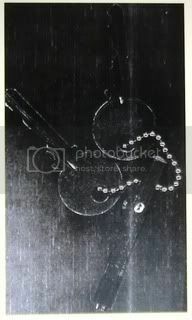 trustno1, I hope people can follow this but it basically boils down to the use of Ancient Hebrew, like Tent Peg symbol and Mouth symbol (Black Dahlia used Ancient Hebrew mouth image with modern english alphabets), Zodiac used Tent Peg w/his Latitude Phi and Greek numbers to add up to location showing a campsite at various latitudes where they can find him 1969-1971. And it also comes down to Middle to Modern Greek symbols/images mixed in with modern Latin or Roman alphabets. 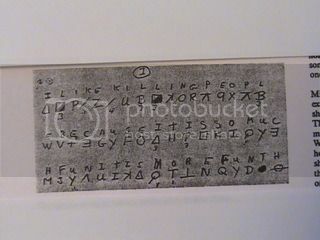 So IMO, it appears that these were just common traits for all 4 killers that Jack is but when it came to Zodiac they were more complex as they were Jacks own Cryptograph System (his images found in cards & cryptograms) and Jack mixed Greek and Roman alphabets in his everyday life handwriting. Catseye....I wish I could help out a little more with the research of the Kensington stone runes etc. however, around the time this site went down my computer I was using died. I had to dig around to find something to use and, I came up with an old Gateway laptop running with the old ME (that's right ME) operating software. It works fairly well so far on this dial-up connection although, some sites no longer work with ME (such as Yahoo email). Anywho, happy hunting, good luck and, take care. trustno1, I've a Dell Inspiron ME that's now only good for music! It crashed beyond saving much of the software or what I had on it but it still can do something. I used it to try and do my part in the War on Terror and visited sites in countries that don't like us....at least they were kind enough to warn ya when they are tracking your ISP and tell you to leave. Well, I didn't listen and after the 4th time, in 2003, my PC went bye-bye! Live and learn! I will look at the runes, probably this weekend as they have some interesting history. At least the weather will be cooperating although now it's supposed to snow a bit in Lake County but no lightning which makes me have to get off the PC. BTW, my Yahoo Mail, Search Engine, too went down and has been down for more than a day but mine was probably storm related. You take care, also. trustno1, I did a quick jaunt around the internet refreshing my memory about Runes, Vikings and there travels to this continent suspected to come from Newfoundland areas down the St. Lawrence and did there explorations a millennia ago. Minnesota, Wisconsin too, and Maine, the Mississippi River, Oklahoma. Well, the first thing that came to my mind is that Jack is said to have traveled extensively when young in those areas and Dennis says they even stayed in Minnesota briefly. My point is, that maybe some of these runic symbols could be just more clues as to who Jack was and where he had been, may have been staying and they were IMO, homophonic or with more than one meaning or purpose in his Cryptograph System. Thanks and I will still look some more on the Runes. I did look into them in the 1990s, so, it's a refresher course. I think I may have read that some were found in Washington State or Oregon. If Washington, well, we know that Jack had his ties to that state at some point. Thanks and don't get a headache dealing with your antique PC. trustno1 said 01/21/10: "Catseye....I wish I could help out a little more with the research of the Kensington stone runes etc. however, around the time this site went down my computer I was using died. I had to dig around to find something to use and, I came up with an old Gateway laptop running with the old ME (that's right ME) operating software"
trustno1, that's when I joined MySpace to help keep going what had been on this MB and Dennis Site because it was down. My first "friend" was Dennis, but when it came to my 2nd "friend" it was Fabian. That made my XMAS for decades! Anyway, the MySpace is still an extension of what goes on at this MB/Site with some personal info about me and insight as to what makes me tick. Yeah, even though I'm not fundamentally ruled by Astrology, I know I'm Scorpio Rising and it's true that I need to know what makes everything & everyone tick, including myself. So, keep on ticking, trustno1. ooppsss, I better get back on topic or I might get pulled over by the Off Topic Police near the G Street turnoff on the Information Superhighway!